RRB ALP Mock Test 2018: RRB ALP Mock Test Link is available on 26/07/2018!!! Contenders applied for CEN-01/2018 for filling up Assistant Loco Pilot /Technicians Positions have to participate in CBT First Stage Exam on 09-08-2018. RRB Loco Pilot/Tech Practice Tests can help the participants for the preparation of CBT Examination as it is designed according to RRB ALP Exam. Contenders will get 60 minutes to solve Railway CBT Examination that will be asked from four topics. Contenders are suggested to follow this page which is well designed by the team members of www.privatejobshub.in to take RRB ALP Mock Test 2018-19 while you may visit to the official website of your applied region by following given links on this page. How to Take RRB ALP Mock Test 2018 Online? Step2: After that, you need to press the given link to check RRB ALP Mock Test Free. 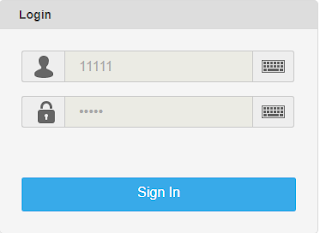 Step3: By pressing that link, a new page will be displayed at your computer screen asking log in Id and password. Step4: Enter details for log in and hit “Sign In” to take RRB ALP Mock Test In English. Step5: Then you are suggested to read the complete instructions related to RRB ALP Mock Test Online Free on this new page. Step6: After reading the complete instructions, you are required to press “Next” tab. Step7: Here you are required to read marking details of RRB ALP Mock Test Online. Step8: Finally, you need to tick the box and follow “I already to begin” tab for proceeding to take RRB ALP Online Test In Hindi. Step9: Then you need to answer questions asked in Mock Test For RRB ALP 2018. Step10: At last, you will be able to know preparation status after calculate your marks. Are You Keen To Take RRB Loco Pilot Mock Test for CBT August Exam Preparation? Candidates can solve RRB ALP Online Test Series as per their region by going through the given link of official website. By pressing that particular RRB website will be opened and then you have to press the appropriate link of Mock Test for practicing CBT Examination. Do You Know The Way of Answering a Question in RRB ALP Mock Test? To choose your answer, press on any one of the options buttons. To deselect the selected answer, follow again on the selected option or Clear Response button. To change your answer, press on the other desired option button. In order to save Answer, You MUST press On The Save & Next Button your answer to safety, you Save & Next it is necessary to press on. To mark the question for review, press on the Mark for Review & Next button. You have to press Mark for Review & Next button to mark any question for reconsideration. To change your answer to a question that has already been answered, first select that question for answering and then following the process of answering that type of question. To change the answer to any question, first select the question, then after pressing on the new answer option, then follow the Save & Next button. Sections in this RRB ALP Mock Test Question Paper, Question in a section can be seen by pressing on the section name. The section you are currently viewing is highlighted. After pressing the Save & Next button on the last question for a section, you will be automatically considered the next section. You can shuffle between sections and questions anytime during the examination as per your convenience only during the time. The examinees can see the review of the related section as part of the legend. Do You Know About RRB ALP Mock Test Papers Pattern 2018? Negative Marking: 1/3rd mark for every wrong answer. No. of alternatives: 4 alternatives, out of which only one will be the correct answer. Language of Paper: The Candidate can view the Question Paper in the language opted for, at the time of filling the Application and in English Language. In case of any discrepancy between the English and other versions of a question, the English version will prevail. Note: One question will be displayed on the screen at a time. You are requested to be aware of the amount of time you spend per question. Do not spend too much time on any question. Question1: How do I get benefit from taking RRB Assistant Loco Pilot Mock Test? Answer: As it is said that "Practice makes man perfect” so if you solve sectional mock tests for RRB ALP before attempting CBT exam it will be easy for you to secure required marks. Question2: Can I get refund If I am unable to take RRB ALP Online test after payment? Answer: We may avail you refund depending on the situation which prevented you from taking RRB ALP Mock Test In Hindi. Question3: Is there any option of taking RRB Tech Test Series offline? Answer: Yes, once you download RRB ALP Mock Test PDF from official site, you can take offline mock test and start your preparation. Question4: Which browsers are supported for attempting RRB ALP test series? Answer: All browsers support for Online Mock Test for RRB ALP, However we recommend you to take test from Google Chrome. Question5: Can I reschedule or cancel RRB Loco Pilot/Tech CBT Practice Tests? Answer: If you have started test you can reschedule or cancel the RRB ALP free test by pressing on 'save for later' option. Question6: Will I get Answer keys and explanations after attending Railway Loco Pilot/Tech Mock Test? Answer: You will get solutions and detailed explanations after taking the Railway ALP Mock Test/ Railway Technician Mock Test. What is RRB CBT Exam Schedule? Visit this Official Link to acquire more details related to RRB ALP Mock Test 2018-19. Contenders are suggested to share their views by dropping comment in below mentioned comment box. Our team will provide you satisfactory answers as soon as possible.